If you have diabetes, not only do you have an elevated risk of developing heart disease (among other complications), but you’re more likely to live with chronic pain. Diabetic neuropathy is the term for the persistent pain that many individuals living with diabetes experience on a daily basis. While doctors aren’t sure exactly why or how it happens, they know that it has something to do with the connection between poor blood sugar control and the nervous system(1). But researchers are now exploring a means of managing the pain associated with diabetic neuropathy – and best of all it’s totally natural, with almost no side effects. The treatment? Fish oil capsules. A study published in the Journal of Neurophysiology found that fish oil supplements can boost nerve health, enabling nerves to transmit signals more effectively and keep them from dying or atrophying – two things that can contribute to chronic pain. 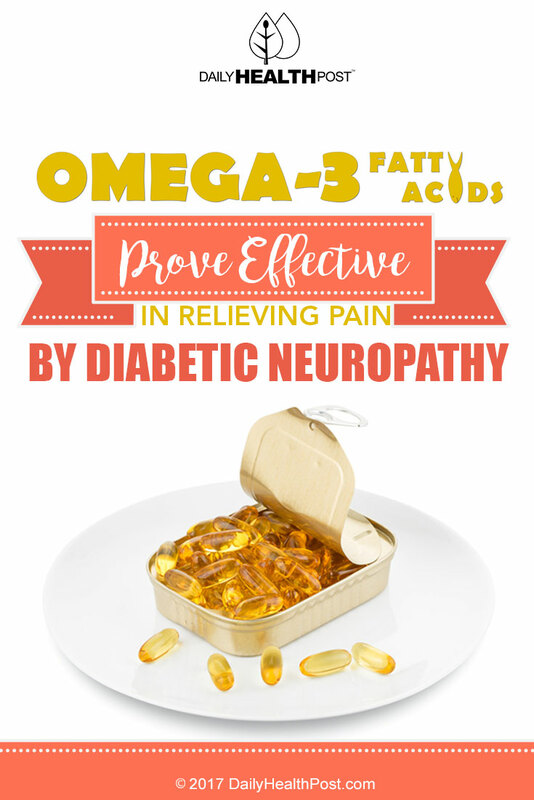 “These studies suggest that n-3 polyunsaturated fatty acids derived from fish oil could be an effective treatment for diabetic neuropathy,” the study concludes(2). The effects that fish oil has on nerve health is due in part to compounds in fish oil known as resolvins, or resolution-phase interaction products. These compounds have been shown to help reverse some of the harmful effects of diabetes on the nerves in mouse models. A 2013 study from Harvard University shows that taking fish oil can help increase your levels of hormones which help regulate blood sugar levels – effectively lowering your risk for developing type 2 diabetes and heart disease. “In placebo-controlled RCTs, dish oil moderately increases circulating adiponectin, although with unexplained heterogeneity… these findings provide no evidence for harm and support possible benefits of (fish oil) consumption on insulin sensitivity and to adipocyte function,” the study says(3). In other words, even if you aren’t diabetic, fish oil supplements can be good for your health. Fish oil isn’t a cure-all, but its health benefits are real – “Many health claims for fish oil… are based on indirect evidence,” writes WS Harris in the Cleveland Clinical Journal of Medicine(4). In short, fish oil is no snake oil – and these recent studies prove it.